On this weeks show we take a look at Local business and what that truly means. Their unique challenges, and the real benefits for the business owner and the local community they serve. 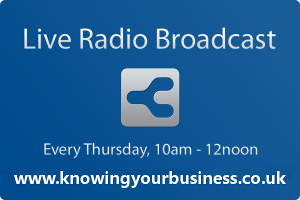 The Knowing Your Business Show interview Will Barton, Rosa Maria, James Day and Neil Webber to find out more. Show time is every Thursday at 10am until 12 noon. We ask Will Barton what West Oxon District Council is doing to help local business. Will has worked for West Oxon District Council for 12 years as part of the business development team and brings a wealth of insights into what being a local business means and the support structure available. Rosa Maria the founder of Camino del Flamenco gives us her insights. Camino del Flamenco began in 2003. First Banbury classes in April 2004 and first show in Banbury in June 2004. We’ll learn how they went about creating a popular product in a part of the UK which is not generally known for its Spanish community or Spanish cultural connections. James Day is back to explain what Ingenious Britain are doing to help local business. Social Media and Community Manager; Content Curator, Ingenious Britain – proud ambassador for Small Business Saturday UK. So, if you’re involved in a small British business, and you want to make yourself heard, then Ingenious Britain is the place for you. It’s British business, with your voice. Neil Webber owner of Pro Clean gives us his insights to what being a local business is all about. Pro-Clean is a family owned carpet & upholstery cleaning company operating across Banbury, Oxfordshire, Northamptonshire and Warwickshire. Neil has become known as a local character so this should be fun as well as informative.